The World Association of Community Radio Broadcasters AMARC- Argentina, with the support of the Rosa Luxemburg Foundation, joined the Collaborative Coverage of the People’s Summit convened by the Confluencia Fuera G20 FMI, in coordination with other networks such as the National Network of Alternative Media and popular communicators from a wide social spectrum. Sally Galiana travelled to Argentina to take part in the collaborative coverage on behalf the AMARC Europe. Here, you can listen to Michael Nicolai, from Radio Corax in Halle, Germany, interview with Sally. 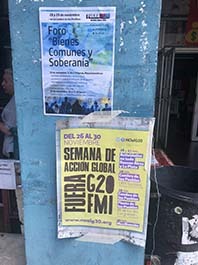 The website Voces No al G20 helds interviews with panelists and participants that took part in the People’s Summit, on 28-29 November 2018, first in the Faculty of Social Sciences of the UBA and, on the second day, in the Plaza of the Two Congresses of the City of Buenos Aires, and from the mobilization within the framework of the National Day Against the G20 and the IMF of Friday 30 we will be recording the voices of will meet in rejection of the G20 Summit. All the material is free to used anywhere in the world for reproduction, translation and copy citing the source, under the license of Attribution 2.5 Argentina (CC 2.5 AR). 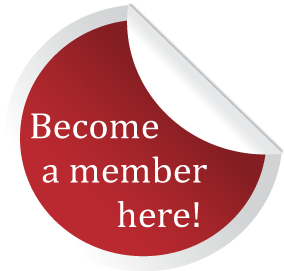 Without community media there is no democracy.